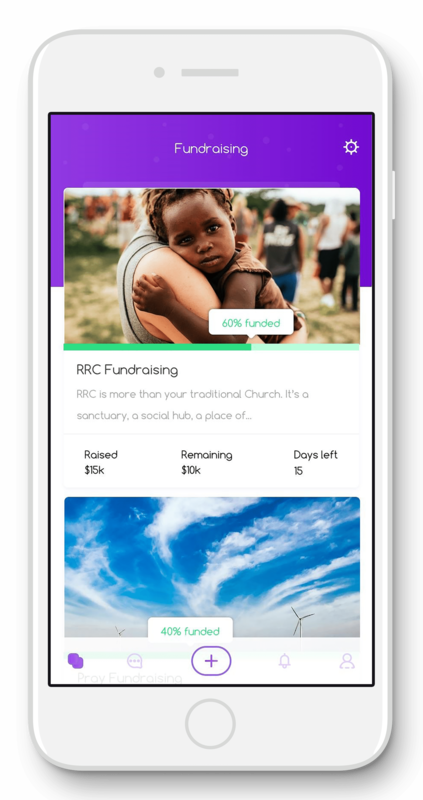 FaithCircle - Mobile Engagement Solutions for Churches and Nonprofits. Bring digital giving and apps to your worship centres. Increase donations, engage your members & maximise attendance in your events & conferences. 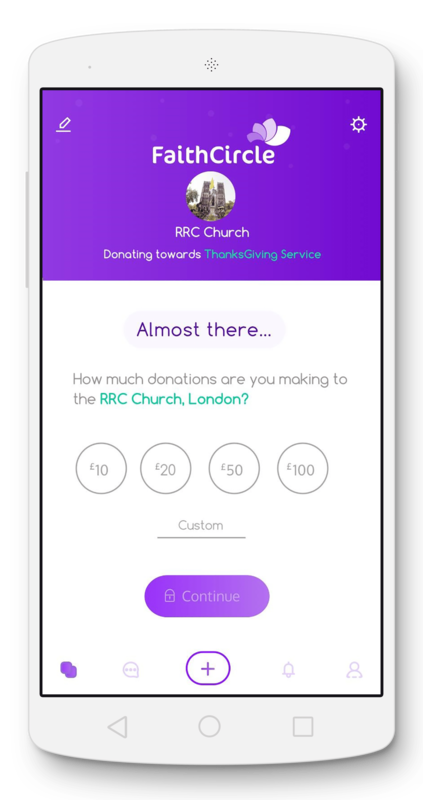 We make Church & Organisation donations ever so Simple, Secure & Seamless using technology & data enabling you to increase donations by up to 35%, gather intelligence & give your members the freedom to give whenever, wherever & engage one another using the FaithCirce app. FaithCircle - enables your organisation to increase donations by up to 35% using Mobile and Predictive technology. Understand who's likely to donate, who‘s likely to make repeat donations and many more. It also provides a one stop shop for all your members givings and reporting. From Charity to Church to peer-to-peer giving - let engaged, vibrant givers give anytime they chose using whatever medium they prefer. And guess what, it only takes 10 seconds to give and a dashboard to manage and review donations in real-time. Use our Donor Engagement System (DNS) to understand your donors giving habits and engagements. 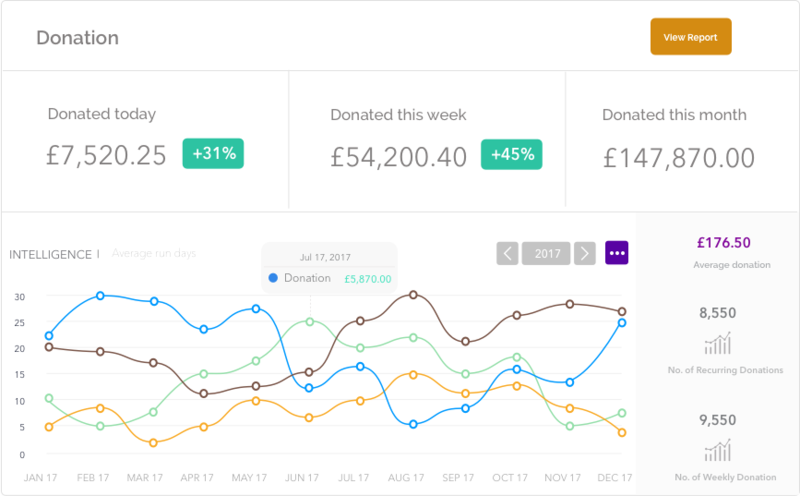 From within FaithCircle, you can easily review your donors behaviour, engagements, patterns & frequency of donations by City, State & Country enabling you to follow up accordingly based on the recommendation of our algorithm! Lynda just gave an offering of £75.00. Sarah is attending #WOC event today. Elliot and friends gave £220.00 towards the YouthUp event. Andrea setup a weekly recurring payment of £65.00 towards offering. Access all your donations from all over the world as they are happening. Gain insights via push notifications and on your dashboard. Review your givings in real-time, Daily, Weekly, Monthly or however your team chooses. Let your members engage each other and get excited about your events and organisation. Let them develop relationship beyond the church. 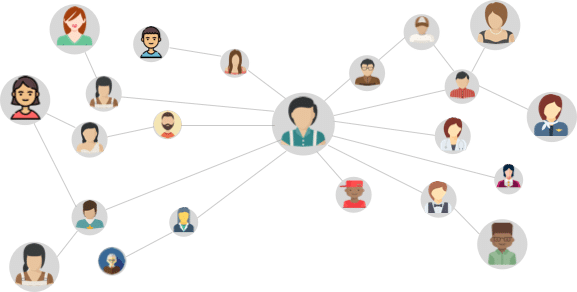 As our partner, you can send targeted message to your members on the go, inform them about key events and do much more all within the FaithCircle platform. Integrate FaithCircle with your current in-house CRM, from Quickbooks to Slack, to importing CSV, FaithCircle's got you! Simply go on the integration tab and select platform to integrate. Then follow simple steps and you're done! ...and many more great features. Increase your givings & donations by up to 35 % begining from today.Join hundreds of partners using FaithCircle to increase, collect & manage donations. Its pretty easy to get started. Just signup. Donate and support your church and charity in real-time and save through your Gift Aid. Your giving and donations arrives in your partners account in 24 hours. Guaranteed. Review your givings & donations on your Givnl app. See your weekly incoming & outgoings. We use world-class, industry standard algorthims to ensure you give savely, securely. ...and many more benefits. Signup to see more. Can‘t describe how happy I was when I found out about FaithCircle. Awesome guys!! I don't know why no one ever thought of this! Really needed this! I'm definitely sharing this on Sunday!